Every year, 8th grade ELA teachers at Brooklyn Prospect Windsor Terrace Middle School organize a special project for their students. Jeff Baird, Jehan Giles and Robert Washington help their students research, write and deliver TED Talks on social justice issues of their choosing to close out a unit on Jason Reynolds and Brendan Kiely’s novel All American Boys as well as parts of Angie Thomas’ The Hate U Give. The two recent novels grapple with police violence and racial profiling, so the teachers have their students complete a social action project, where they have the opportunity to raise awareness about and, in some cases, actually take significant action steps (through fundraisers, letters to politicians, creative arts, etc.) towards solving that issue of injustice. After researching and taking their forms of action, students write and deliver a TED Talk as part of a week-long TEDx Conference, which enables them to practice using rhetorical devices and try to develop their authentic voice as a presenter and speaker about a topic they’re passionate about. At Prospect Schools, we teach our students to think critically and give them the tools they need to connect what they’re learning in the classroom to real-world issues. 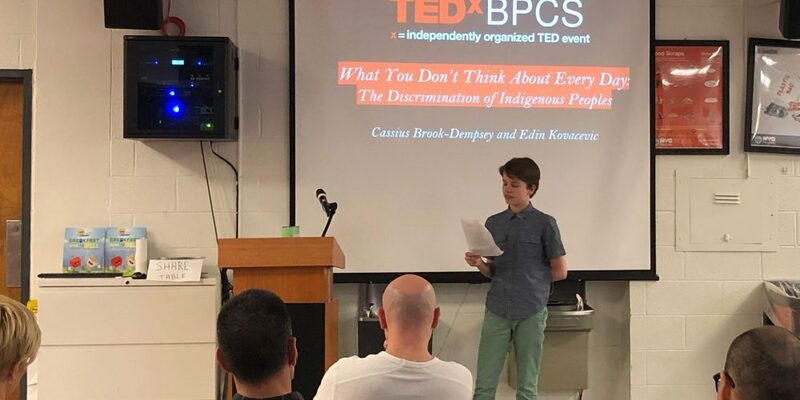 Our International Baccalaureate program provides the framework for students to think globally and consider perspectives other than their own, and the TEDx project exemplifies our students’ dedication to enacting meaningful change. If you want to see more, here’s a link to this year’s TEDx Talks.